If your vehicle is out of commission because of an accident, you will probably find yourself behind the wheel of a rental car. If you’ve never used a rental car before, you may be wondering if there is anything you need to know. 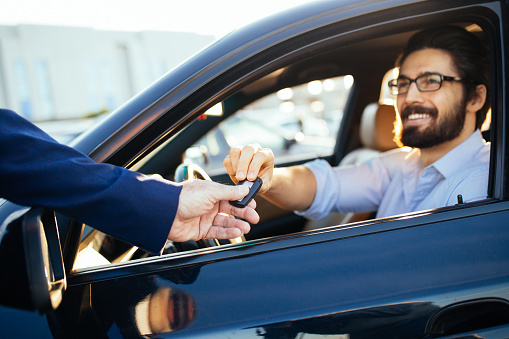 Here are some essential driver’s tips for using your rental car while you wait for your vehicle to be repaired. The last thing you want to discover when you’ve already rented a car is that it is damaged. Not only can this compromise the car’s performance, but you may find yourself being blamed for the damage. To prevent this, do a careful examination of the car before you rent it. Keep an eye out for dents and dings on the frame as well as stains or spills anywhere inside the car. While you’ll have a full tank of gas when you get your rental car, you probably won’t by the time you need to return it. It may be tempting to skip the pre-return visit to the gas station, but you’ll thank yourself for filling up the tank before you bring back the car—if you don’t, you will probably find yourself hit with an extra charge. Make sure that you know when you’re supposed to return your rental car. Some car rental companies will charge you a late fee even if you are only a few minutes late in bringing back the car on the day it is due. To ensure that you’re not late, plan to return your rental car with plenty of time to spare. Have you been involved in an accident? Dave’s Body Shop offers 24-hour emergency towing service, along with onsite car rental services for your convenience. Our experienced technicians have the knowledge and skills necessary to provide your car with our famous “invisible repair.” If you’d like to schedule an appointment at our body shop in Utah, call (801) 566-3906.